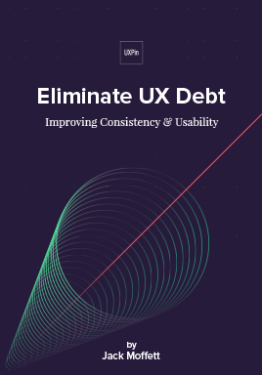 Are you facing a big, messy headache of an enterprise UX problem? Wish you could work on it with some peers who share the same challenge? Good news! We’ll be trying out something new at Enterprise UX 2016: Challenge Sprints. They’ll be a great way for you to crack a tough enterprise UX challenge with small groups of about 20 peers. You might even return to work with a solution to apply right away! 1. 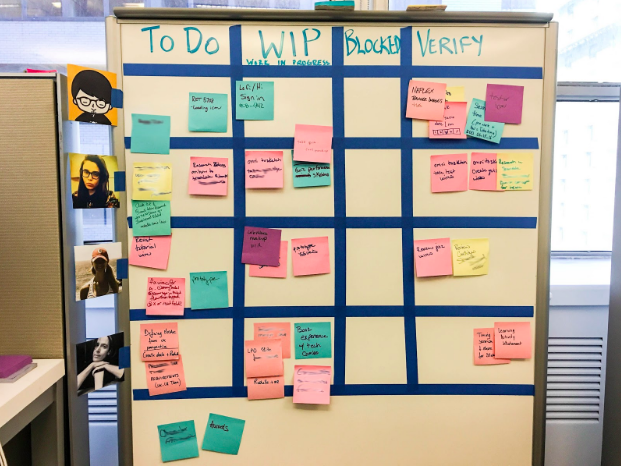 XPLANE, the consultancy that uses design to transform the way organizations solve challenges, is providing a crack three-person team to facilitate each challenge sprint. 2. If your challenge statement is one of the four accepted, your Enterprise UX 2016 registration is on us. And we’ll list you on the conference program. Submissions come from you. We’ll select four challenge statements (submission form below) and let you know when they’re live. Anyone registered for the conference can attend. Space is limited to 20 people per sprint, first-come first-serve, at no additional cost. No more than one Sprint per person, please. Two hour sprints. At the end, we’ll work with each team to create a short, shareable video of the outcome. Ongoing collaboration. We’ll make Slack channels available to each team before, during, and after the conference. Challenge Sprints are scheduled as a parallel track during the main conference program. So participating in a Sprint does mean missing one of the conference themes, but you can catch up: all conference presentation videos will be available for you to watch shortly after the conference. What might make for a good Challenge Sprint? For design systems to be successfully adopted by our enterprises, we have to give up control of them. If we’re no longer owners what role should UX people have after the design system is socialized? 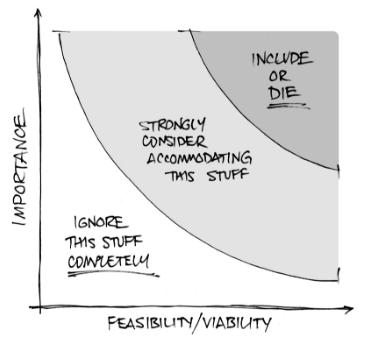 There are many strands of user research happening independently throughout our enterprise. If we could align them, the sum would be greater than the parts. How might we bring them together to yield better insights? Submissions are now closed. Winners will be announced April 29th. Check back here, subscribe to our mailing list, and/or follow us on Twitter so you’ll know as soon as they’ve been announced. We’ll provide a form to sign up for Challenge Sprints then. Hoping to attend Enterprise UX 2016? Need a little help convincing the powers that be? Here’s our contribution to the growing genre of “convince your boss” lit. But if you have additional questions or need more help, just let us know. …and Reason #4: 15% off with this code! The first Enterprise UX conference was a fantastic success—and we’re looking to top it in 2016. We hope you’ll be a part of it! Want to share this with your boss in print? Here’s a PDF. If you or your boss never needed these reasons, why not register now? If you have a compelling story about your adventures designing solutions for people within complex organizations, we want everybody at the Enterprise UX 2016 Conference to hear it. Great Ideas: Instead of just bitching about a recurring problem, you came up with a solution that will make it go away forever. Or maybe you’ve got part of a great idea and want some of the other big brains visiting San Antonio to help you figure it out. If you get on the program, your conference registration fees are on us. Submit the (brief!) form below to enter. Deadline: End of day April 1. We’ll announce the winners on April 15. The submission period is now closed. Thanks to those of you who applied! Planning to attend Enterprise UX 2016 in San Antonio this June? You’ve got just a few days left to register at the Sneak Peek rate. At 12:00am EST on Tuesday, January 12, the rate will increase by $200 for the two-day main program, and by $300 for the main program plus a one-day workshop. Not sure about attending? The program might sway you—as might the speaker lineup. You could also take a minute to watch the 2015 conference’s highlight reel—or spend some more time checking out the videos of the presentations. Hope you’ll join us this June in San Antonio! Thinking about attending Enterprise UX 2016 next June in San Antonio? Take a minute to view our highlight video of 2015’s conference—it’ll give you a taste who spoke, what they covered, and how it was received. First things first: write “Enterprise UX 2016” on your calendar for June 8-10, 2016. Thanks to Rackspace’s generosity, we’ll be returning to San Antonio, Texas. Our main program (June 8-9) will be hosted at Rackspace’s unique headquarters; our day of workshops will be at the Westin on the Riverwalk (June 10). We’ll reprise our wildly successful Enterprise UX Storytellers’ session, curated by Dan Willis, which might feature your five-minute story (or rant). And we’ll be experimenting with some other ways to get you involved with the program—more on that soon. Our full-day workshops will be taught by Andy Polaine, Dave Gray, Lisa Welchman, Nathan Curtis, and Samantha Soma. All in all, an all-star lineup all around! Want to keep posted as we flesh out our program? Sign up for our occasional announcements via email—or follow @enterpriseux on Twitter. And interested in sponsoring? Read on to learn why this is a good idea. See you this June in San Antonio!